You may have heard the phrase that something is only worth what someone is willing to pay for it. In the world of classic cars, where values seem to fluctuate by the day, that’s very true. While it’s true, that doesn’t mean you’re at the complete mercy of the marketplace when you decide to release your classic car. There are things that you can do in order to get the best price you can. If you have a classic Aston Martin, a classic Porsche, or a classic Ferrari, you have one of the greatest driving machines ever to grace the road. These vehicles were designed to provide the driver with a true sense of thrill every time they got behind the wheel. Does your car live up to that? Or does it leave a cloud of smoke and a puddle of oil everywhere that it goes? It’s impossible to overstate how important good mechanical condition is to get the best value for your car. It stands to reason – when you bought the car, if you turned up to see it and the engine was running poorly, would you have been in a rush to buy it? Unlikely. There are certain cars, such as the classic Mercedes-Benz 540k Convertible, that are so rare even poorly running examples are desirable and expensive. For the majority of classic cars, you have to keep in mind that there are likely plenty of other examples out there. Yours needs to stand out, and a car that drives brilliantly will always stand out. So, determine a regular service schedule for your vehicle. Also, replace things as and when they need replacing. If you’re running your classic on a shoestring budget it’s easy to say you’ll do it “next week”. Then, before you know it you’re trying to sell the car and you still haven’t had that job done. The only thing is that now it’s something else chipping a little bit off the top end of your selling price. Address these points, and you have a desirable classic car. Classic Bugatti, classic Mercedes-Benz, classic Jaguar, and most classics, in fact, are known for their truly beautiful looks. Your car should reflect this. Classic beautiful lines are in such stark contrast to the computer-designed bricks motor manufacturers sell nowadays, the condition has to do the looks justice. But the right condition for your car might not be entirely obvious. For example, originality is a highly prized thing in the classic car market. A car is, and can only be, original once, so buyers are often prepared to pay a premium for it. As soon as a car is repainted or reupholstered, it loses its originality and loses what makes it truly unique. As a clear example of this principle in action, take this 1993 Mercedes-Benz 500E. It looks just like any other Mercedes-Benz W124 saloon. Reliable and handsome, but you can pick them up in the classifieds for anywhere from £1,000 – £10,000 all day long, depending on condition. What makes this one worth the best part of £80,000 to someone? Well, firstly it’s rare. It’s a 500E, which is a very rare car indeed. One of the first super-saloons, it was designed and built in conjunction with Porsche and carried the 5.0-litre engine from the 500SL coupe. Albeit modified. So this car is rare and has a great engine, that accounts for it being more valuable than your average rusted Geneva-taxi. But it’s still hamstrung by the very dim-witted automatic transmission that Mercedes-Benz was using in the ’80s and ’90s. So, any appeal as a “driver’s car” is somewhat limited, from an objective standpoint. So, why all that money? Two things – mileage, and condition. If you look at this car, at the time of sale (August 2018) it had just under 14,980 original miles. The W124 series of Mercedes-Benz cars are well known for their ability to comfortably do hundreds of thousands of miles with the right maintenance, so to find an example with such low mileage is rare. A car like this, one of the very few 500E performance models built via the Mercedes-Porsche collaboration, makes it even rarer again. Then there’s condition. This example is absolutely flawless. It has been kept indoors, driven exceptionally rarely, and has had all service items attended to as and when necessary. It’s as close as you could get to walking into the Stuttgart branch of Mercedes-Benz in 1993 and picking up your recently-ordered 500E. You could make an argument that it’s worthy of being a museum piece. 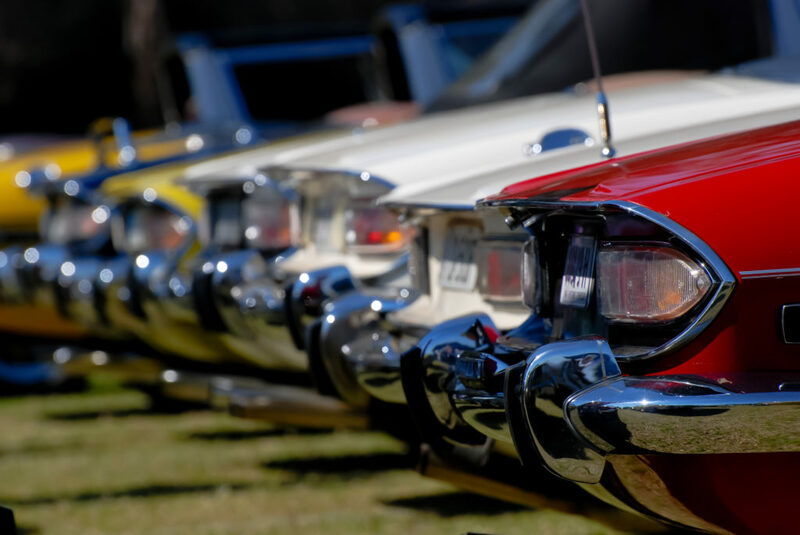 Like all collectors, classic car enthusiasts want the very best and most interesting pieces for their collections. Being a one-family owned car since new, it explains why this car brought the best part of £80,000 under the hammer. That brings us on to another thing your car needs to be as valuable as possible – provenance. Many people love classic cars because they pass from person to person and pick up a lifetime of stories and experiences. So get digging in your car’s history and see if there’s anything notable or exceptional about it that will make it that much more interesting or desirable. In the case of our example Mercedes-Benz 500E, it’s a one-family owned car since new, that’s highly rare and adds to the car’s story. What matters with provenance? Anything that makes your car more interesting or unique. Classic cars are often used in films and TV shows. So if your car was used, try and track down some photographs to prove that and keep them with the rest of the car’s documents. It all adds to the appeal of your specific car, which may otherwise be similar to thousands of other examples of that make and model. Similarly, provenance might be a famous former owner. Again, try and get hold of some photographs of them with the car, maybe even see if you can contact them to get some written confirmation of their ownership and experience. It will all add value come sale time. Other things to highlight would be if your car was a milestone production number – the first car or the millionth car, for example. If your car benefits from an unusual original factory paint finish, that will make it more desirable than others. As will an unusual interior colour. Check your car’s specification. Find out what options were available at the time, what was ordered on your car, if anything, and how common they were. Hopefully, you should understand that there are certain things that you can do to make your car as desirable as possible. Ultimately, it’s still worth what someone is willing to pay, but there are many things you can do to encourage the buyer to offer you more.